Size: approx. 4 mm. Photo: 08/16/14. 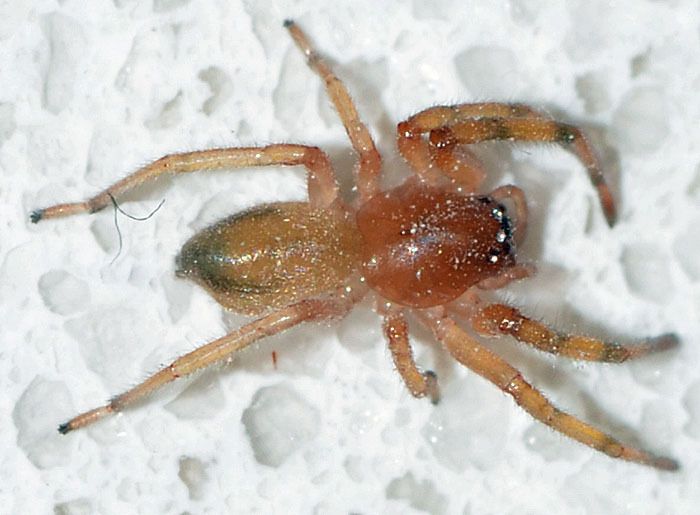 This spider belongs to the genus Trachelas. In North America, this genus has eight species, of which four are likely to be found in Florida. 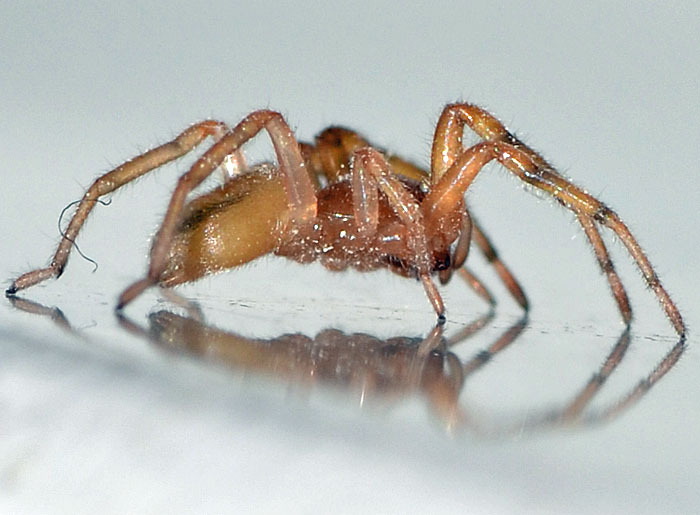 These hunting spiders do not spin a web but use silk for egg sacs and safety lines.